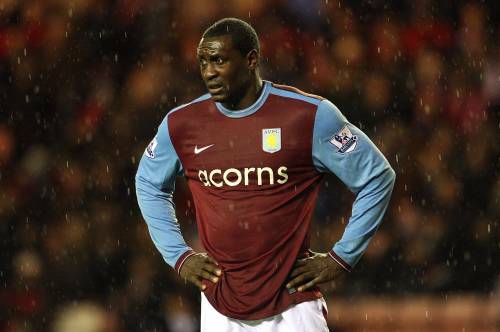 According to the Daily Mail, Stoke City are set to offer Aston Villa flop Emile Heskey an escape route out of Villa Park by lodging a £2 million bid for the perennially misfiring ‘striker’, if manager Tony Pulis can successfully offload two of his surplus forwards – James Beattie and Dave Kitson. The 32-year-old England international has found starts increasingly hard to come by at Villa this season after falling behind John Carew and Gabriel Agbonlahor in the pecking order. Should Heskey move to the Britannia Stadium for the proposed fee of £2 million, it will take his cumulative total transfer fee to somewhere in excess of £27 million, which is fairly ludicrous for a forward that has managed just 9 league goals in the past three seasons. I don’t personally subscribe to the ‘enlightened’ theory that Heskey unselfishly sacrifices himself to allow his teammates to play around him, and tend to lean on the side of the argument that suggests he is just a lump with no striking prowess what-so-ever. Saying that, if any Premier League side are going to be willing to invest a cool couple of £m’s in a lump, it’s Stoke City.